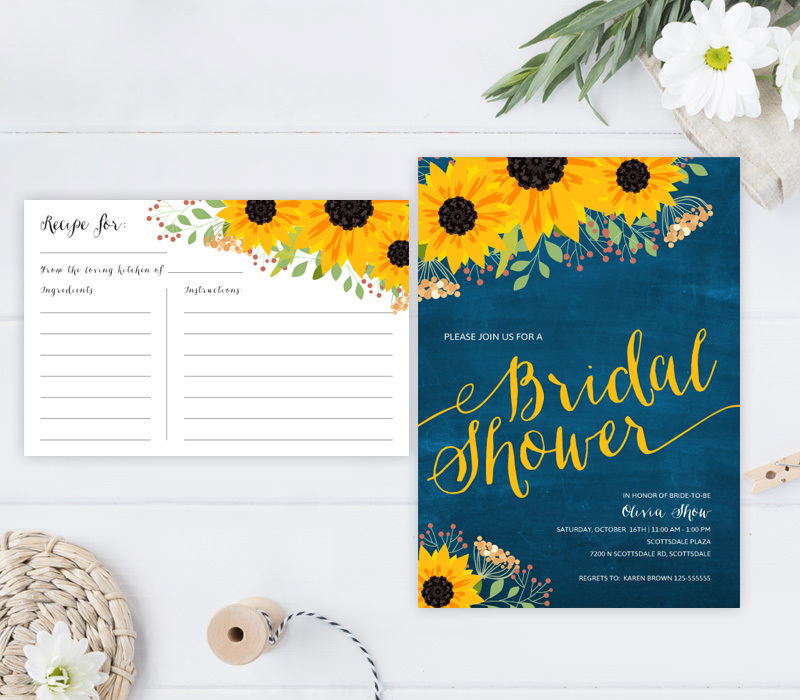 Cheerfully announce your upcoming bridal party with our Rustic Bridal Shower Invitation Sets! Made for a rustic style celebration, our invitations and recipe cards will share your event details in a warm inviting manner. 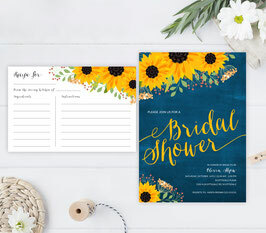 This wedding invitation set is decorated with delightful yellow sunflowers and printed on premium card stock.